American Slide Chart has been a leader in the slide chart industry for the past 80 years. Our client creates dimensional solutions that are both hands-on and user-interactive thus requiring a website that provided the same. 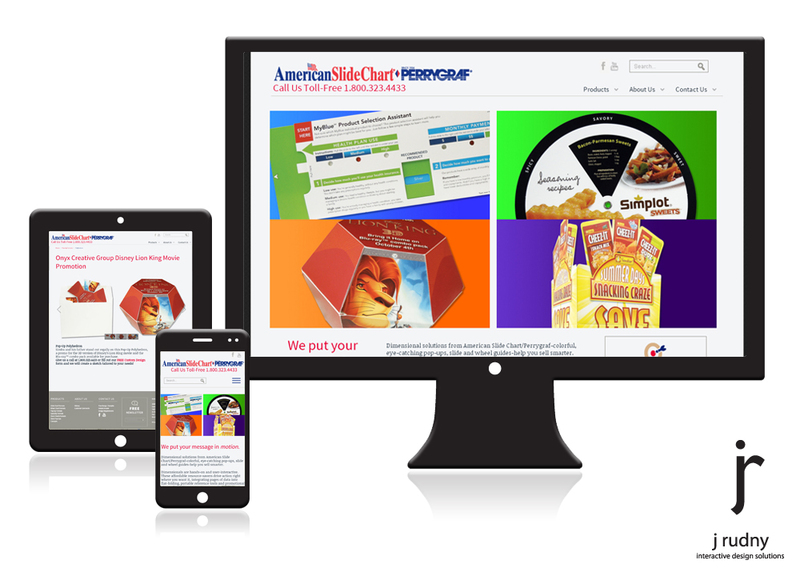 J Rudny was contracted to create a custom redesign for American Slide Chart website. American Slide Chart was facing an aging website that did not respond well on mobile and tablet devices. In addition, the client did not have the ability to add timely content to the website to help with sales initiatives. Our major goal was to provide American Slide Chart staff with the ability to maintain the new site, publish content in a timely fashion, and respond to today's multi-device environment.